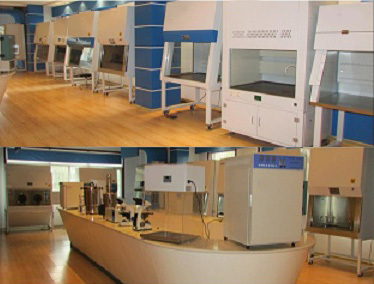 Biosafety cabinets class I II III, laminar airflow cabinets horizontal and vertical, fume hoods. 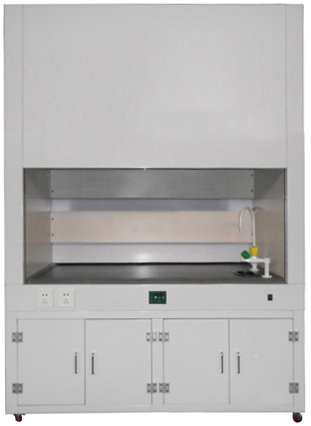 Biosafety cabinets, laminar airflow cabinets, fume hoods. 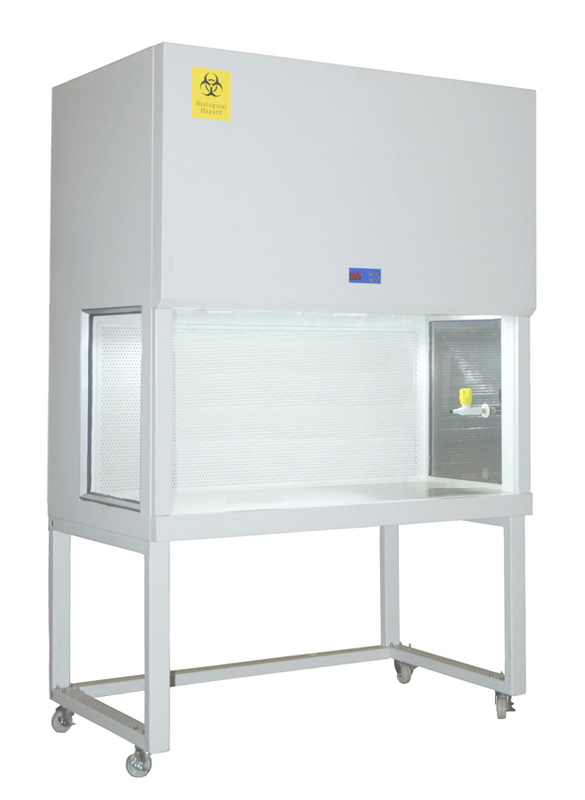 PB series fume hoods are used to minimise chemical exposure to laboratory staff. They are considered the primary means of protection from inhalation of hazardous vapours. UV lamp sterilise the working area. 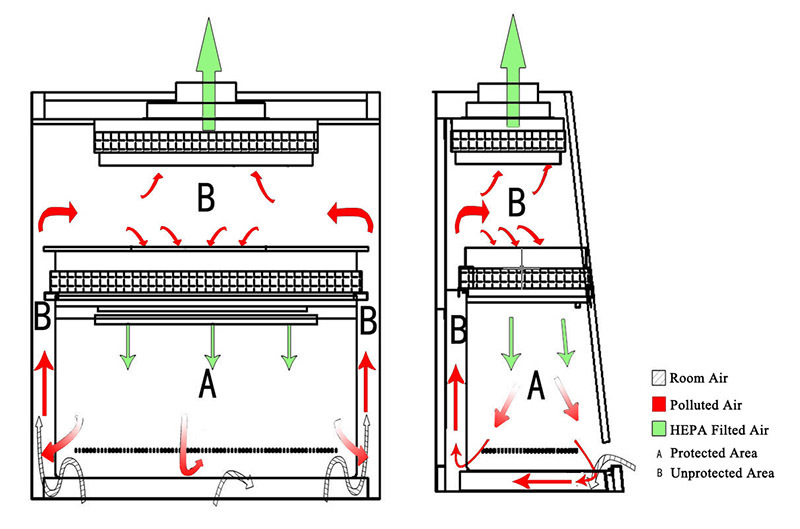 The air flow is adjustable (6 levels). Work table: using solid chemical-resistant physiochemical board. Other models are available - ask. 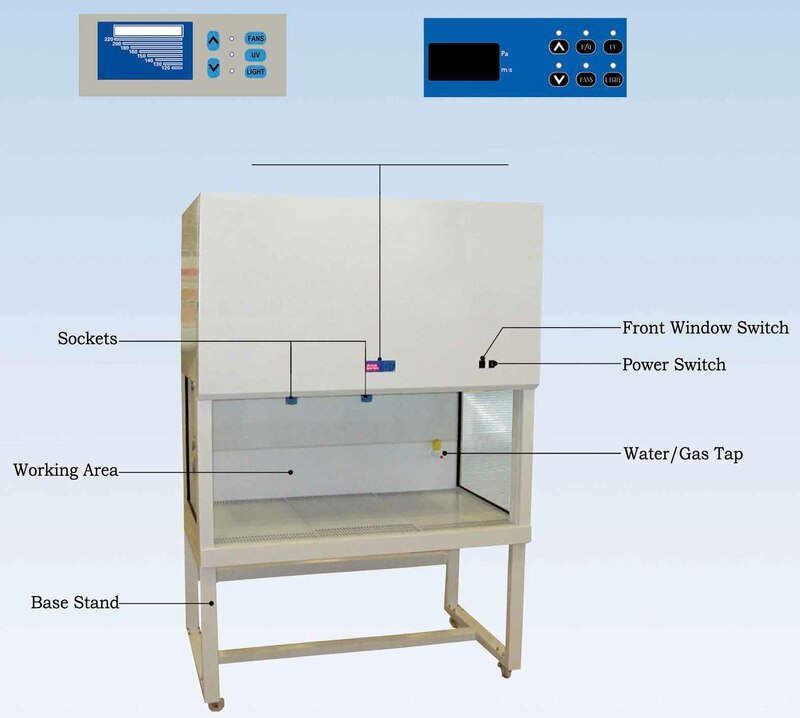 The laminar flow clean bench is a work bench or similar enclosure which has its own filtered air supply. It provides product protection by ensuring that the work in the bench is exposed only to HEPA-filtered air. The air is take through filtrations systems and exhausted across a work surface in a laminar or unidirectional air stream. 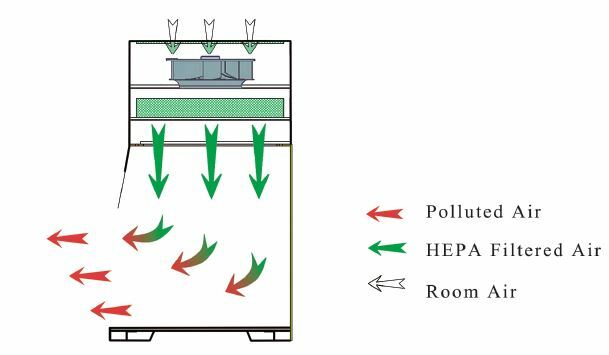 The laminar flow cabinet is enclosed on the side and kept under constant positive pressure in order to prevent the infiltration of contaminated room air. 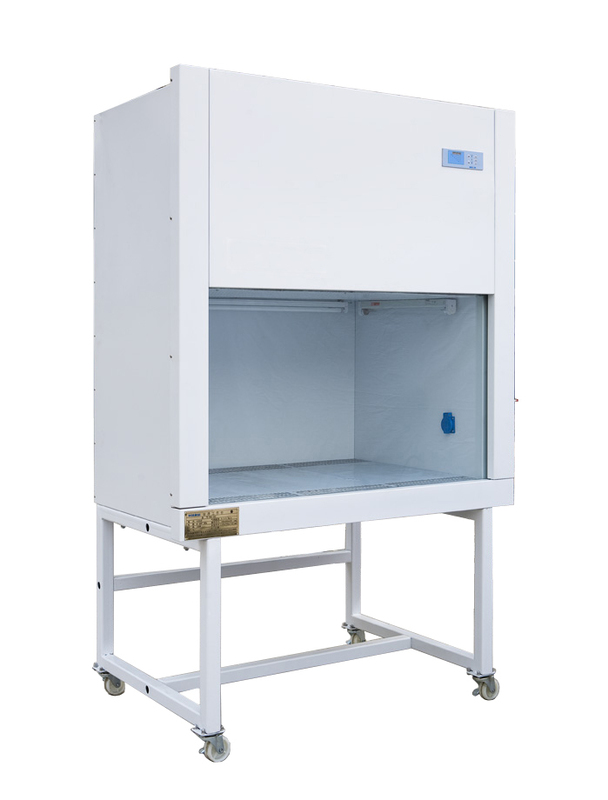 Laminar flow clean benches are widely used in medical research laboratories, hospitals, manufacturing facilities and other research and production environments. 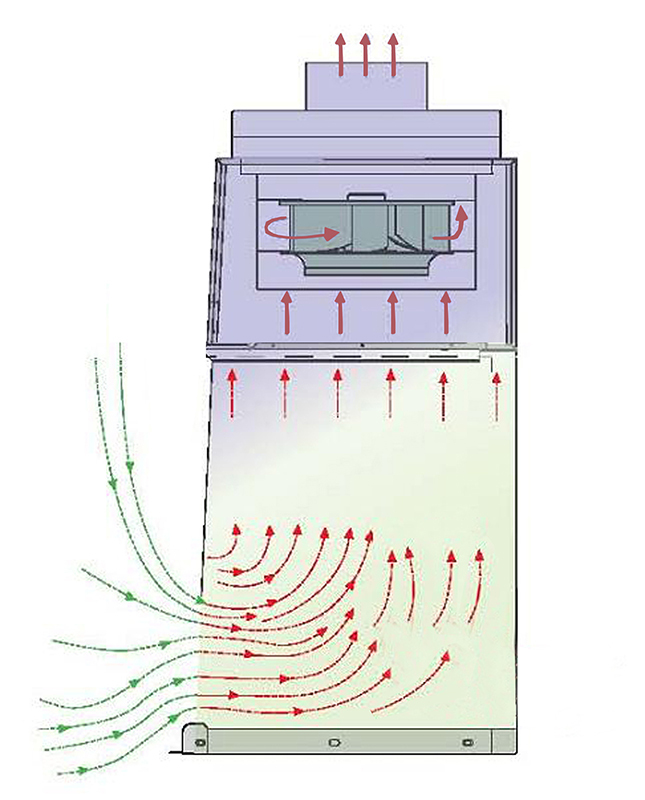 Both horizontal and vertical flow models are available. Used HEPA filters - 99.995% @ 0.3um. 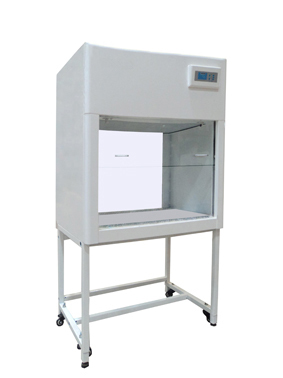 The laminar flow unit is a workbench or similar enclosure which has its own filtered air supply. It provides product protection by ensuring that the work in the bench is exposed only to HEPA-filtered air. 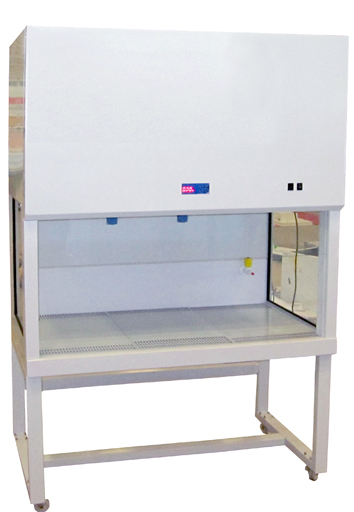 Laminar flow clean benches are widely used in medical research laboratories, hospitals, manufacturing facilities and other research and production environments. Both horizontal and vertical flow models available. Polymerase Chain Reaction (PCR) is a scientific technique in molecular biology to amplify a single or a few copies of apiece of DNA across several orders of magnitude, generating thousands to millions of copies of a particular DNA sequence. PCR is now a common and often indispensable technique used in medical and biological research labs that are working with DNA and RNA. Because of the high copy number generated during PCR, it is essential to prevent possible contamination of the PCR reaction. 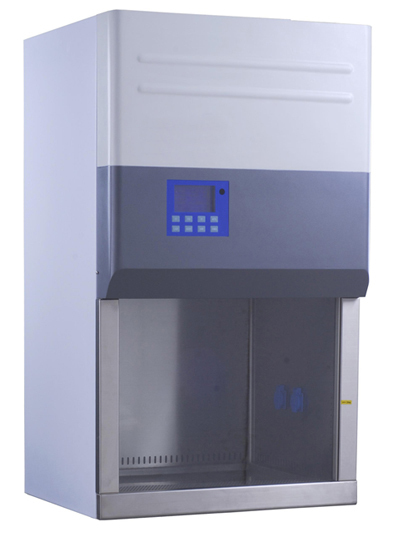 PCR Cabinet is an equipment that provides clean air environment, its air flow is vertical. UV is effectively utilised in this cabinet. 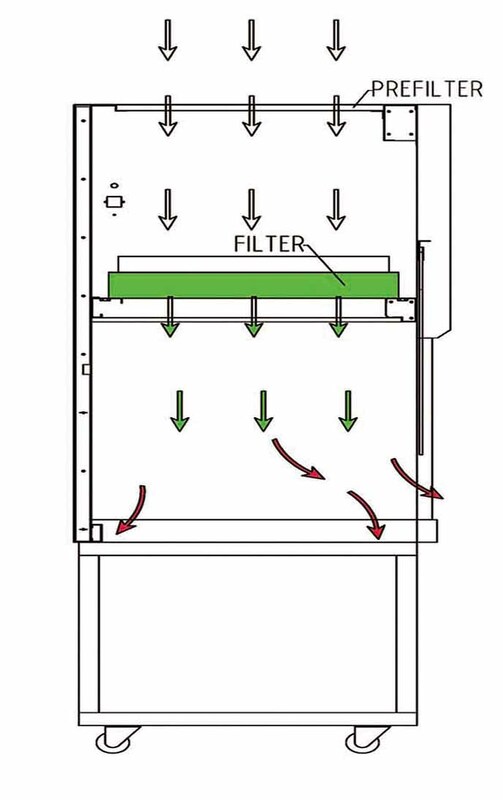 Downflow clean air protects against contamination by bathing the PCR apparatus in sterile air and limiting risk of contamination from the operators arms, or from any equipment brought into the otherwise sterile environment. A positive pressure ensures that there is no ingress of airborne contaminants from the surrounding laboratory environment. Toughened glass windows offer exceptionally clear all round vision and do not allow transmission of UV. Interlock function: UV lamp only can be switched on when the front window is closed, ensuring operator's safety. 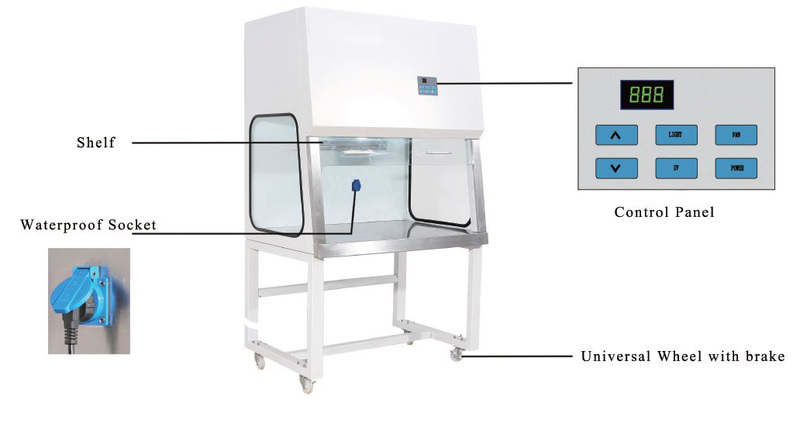 UV timer (1-99 minutes): When the set time expires, the UV lamp automatically switches off in preparation for the next experiment.